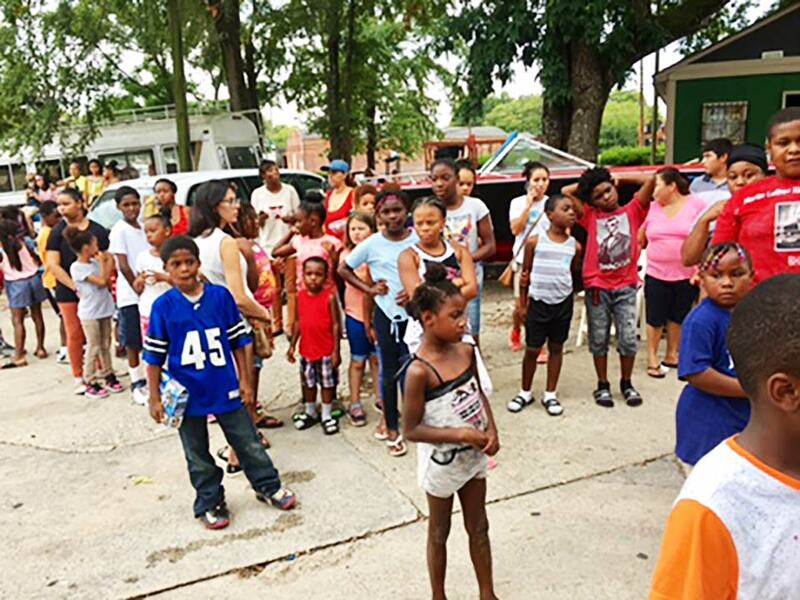 This time last year, 50 children walked away without a backpack at Helping Hand Mission's back-to-school event — a mission that serves the "poorest of the poor" children with food and clothing. This year was a very different story ... because YOU came through! 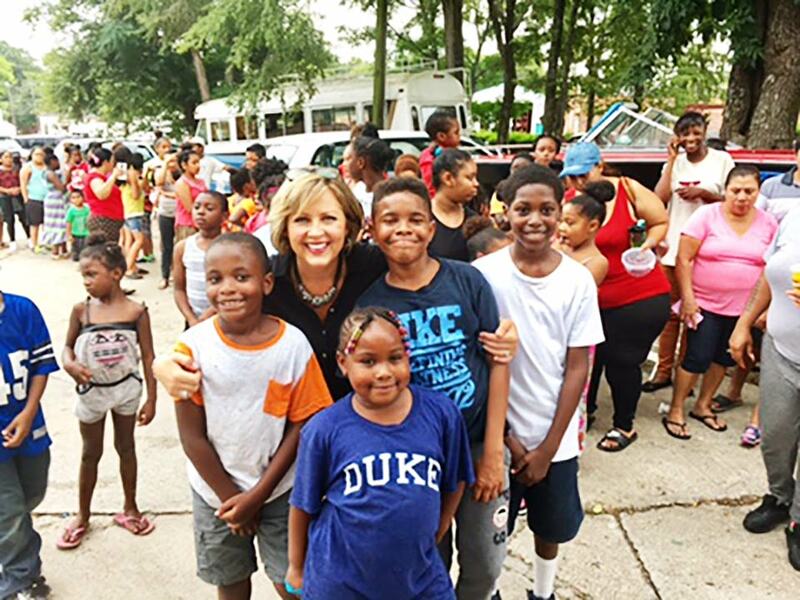 Jessica, Rukiya, Mark Jewell and I drove up to the mission tonight, our cars filled with school supply-filled backpacks, to a waiting crowd of parents and children. Most had walked there. Many were barefoot. 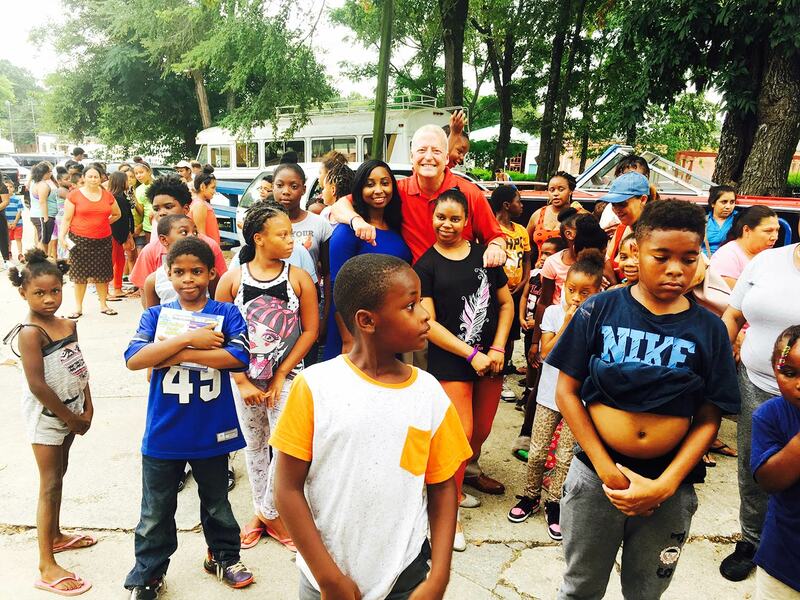 With the help of the mission volunteers, we passed out backpacks to children of all ages. 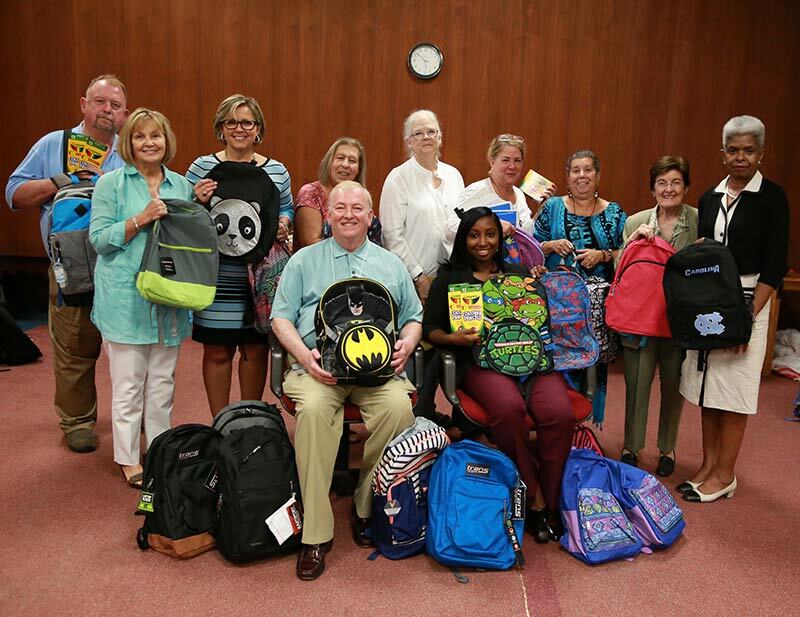 After we made sure every child had a backpack, they were able to come back to the table for even more supplies! The best part? We left over 2 dozen backpacks for children who may stream in over the next few days. THANKS TO YOU! Below are a few photos from tonight. Again, thank you for giving above and beyond.